Brian Harry Taylor, long serving stalwart of Bromley and Chislehurst Liberal Democrats, died peacefully in the Freeman hospital, Newcastle on Monday 12 August aged 93. Born in Putney, London in 1919, Brian's political sentiments were first aroused against the Brownshirts and their targeting of Jewish immigrants in the East End of London in the 1930s. He joined the Bermondsey branch of the Communist Party in 1937, but was always more of an anti-fascist than a communist. He left the Communist Party in 1939 in disgust at the Hitler-Stalin pact. As a student dentist at Guys Hospital in 1943, he met future wife Susan (née Goldschmidt), a student nurse. He then served in the British Army in the Middle East and married Susan in May 1946 after being demobbed. In 1955 Brian saw the light and along with Susan joined the Liberal Party; both soon became dedicated party activists in their corner of South East London. Brian first stood for election to Bromley Council in 1956, was first elected in 1957 (allegedly the first Liberal Councillor in Kent), lost his seat in 1960, then regained it in 1962. During this period he was Health Committee Chair, elected by fellow councillors who thought a dentist well qualified for the role. He failed to get elected to the new London borough of Bromley Council in 1964, but was returned via a by-election in 1968. In the 1979 general election, Brian was the Liberal parliamentary candidate for the seat of Chislehurst (now Bromley and Chislehurst). With their 12 year old son Michael pressed into service (helping "disappear" Tory stake boards into the boot of the family car), Brian and Susan worked their socks off to get a young man named Eric Lubbock elected to Parliament in the 1962 Orpington by-election. 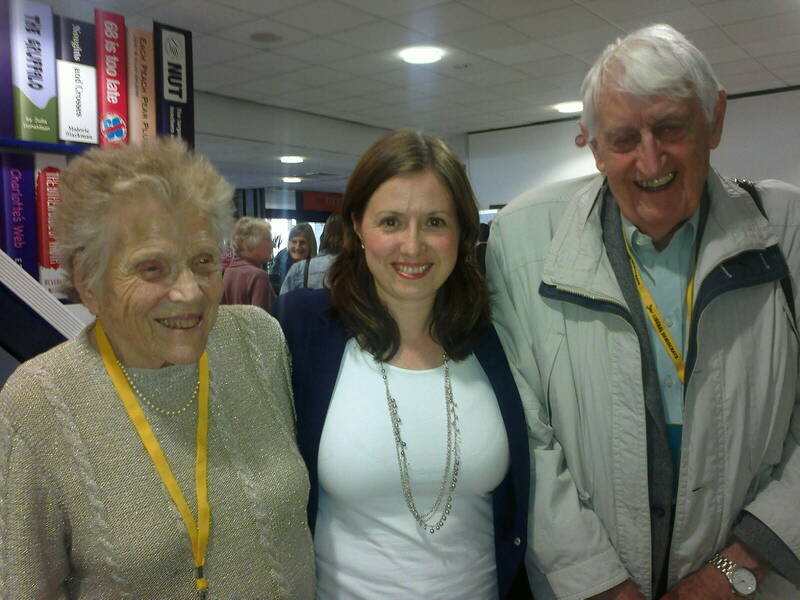 Over the years, Brian and Susan helped out with many by-elections including Sutton and Cheame in 1972, Bermondsey in 1983, Littleborough and Saddleworth in 1995 and of course Bromley and Chislehurst in 2006. In their trusty caravan, Brian and Susan toured the country attending by-elections, Liberal party conferences, and helping the Liberal endeavours of son Michael in West Yorkshire, and daughter Wendy in Newcastle. In 2007, when Brian and Susan received a long service award from the party, Liberal Democrat President Simon Hughes MP said that not only had they dedicated over 50 years to Liberal causes, but they had also created a Liberal Democrat dynasty with both children and grandchildren becoming party activists. Brian never let advancing age stop his Liberal Democrat activism; when no longer able to deliver and canvass, he stuffed envelopes and sorted leaflets. He was also a dedicated federal conference participant, most recently at the 2013 Spring conference in Brighton. Brian is survived by his wife Susan, three children, five grandchildren and one great-grandchild.